RAPAPORT... De Beers’ sales slipped to $505 million at its seventh cycle this year as the miner allowed sightholders to refuse allocations of cheaper rough diamonds. The proceeds — which include last week’s sight — were marginally lower than the $507 million it reported for the equivalent period a year ago, De Beers said Tuesday. Sales dropped 5% from $533 million in the sixth sales cycle in July. 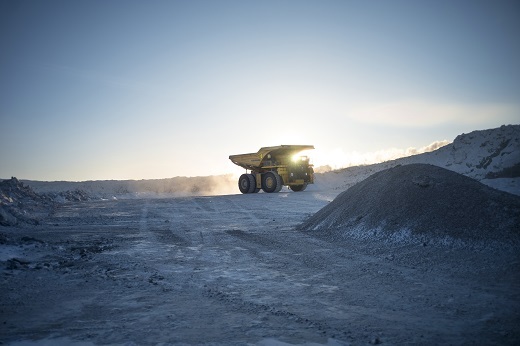 While sightholders must generally commit to a yearlong buying plan, De Beers usually allows them to change the delivery schedule for rough-diamond allocations at the eighth sight of the year, which is the midway point of the annual intention-to-offer (ITO) period. That “re-phasing” process enables sightholders to defer some of their allocated goods for the second half of the ITO period to later in the year. However, this year, some customers asked De Beers to allow that rescheduling for lower-value goods ahead of the seventh sight, a spokesperson for the company said. Clients must still make the purchases by the end of the year. The producer allowed similar deferrals in December 2016 when Indian demonetization resulted in weakened demand for cheaper goods. The market for lower-priced rough has slowed in recent years due to oversupply, lower manufacturing profit margins and the depreciation of the Indian rupee, Bloomberg reported last week. De Beers’ new synthetics brand, Lightbox, also provides competition for the category, the news service added. The company’s rough sales declined 2% to $3.93 billion in the first seven sales of 2018, according to Rapaport calculations. Image: A truck at a De Beers mine.